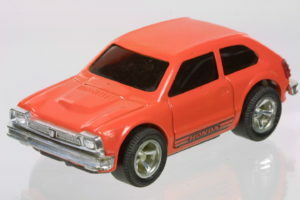 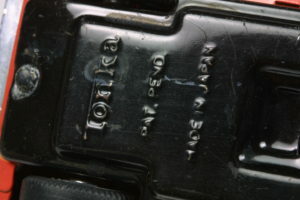 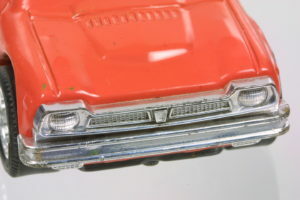 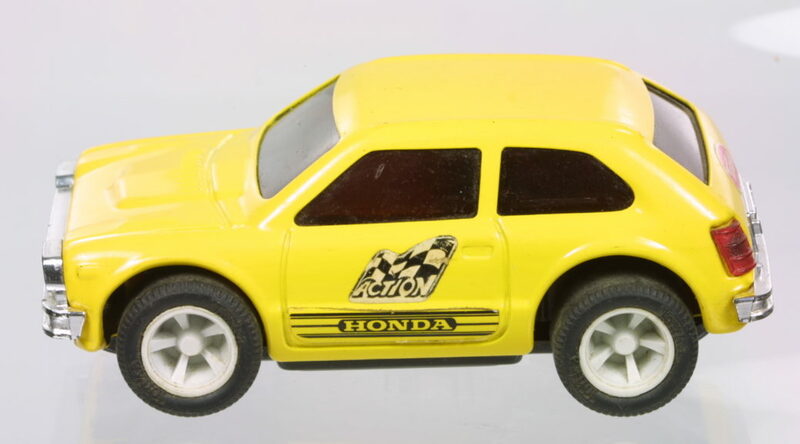 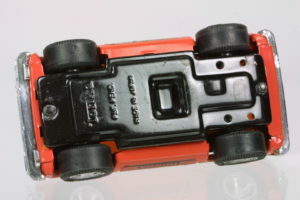 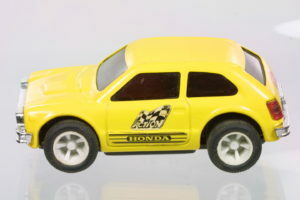 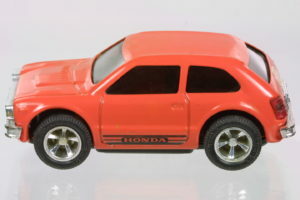 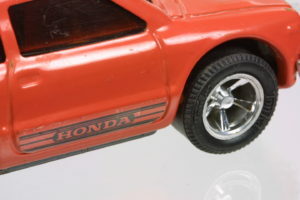 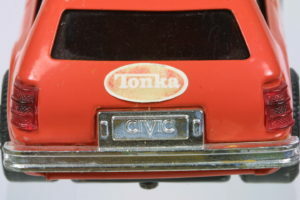 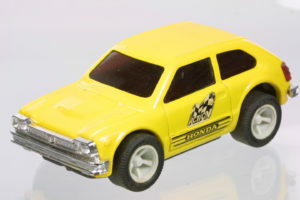 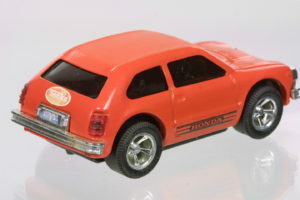 Tonka released the 1977 Civic 3 door hatchback in a few colors in approximately 1:28 scale. 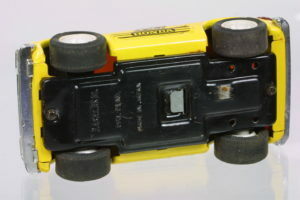 Made in Japan, here are the yellow and the orange ones. 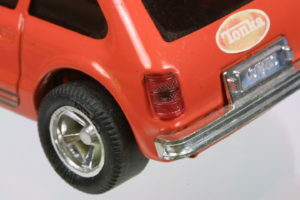 The detail is quite good for a friction powered toy. 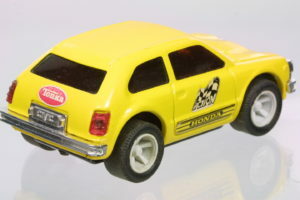 In yellow with all the decals.